I mentioned that I had started the American Patchwork & Quilting 2016 UFO Challenge. To do the challenge, you catalog your UFO projects, assign numbers 1 – 12 to each one, and when APQ draws the number each month, you complete the UFO. I’m behind already on February’s project, but I did finish January’s in time. 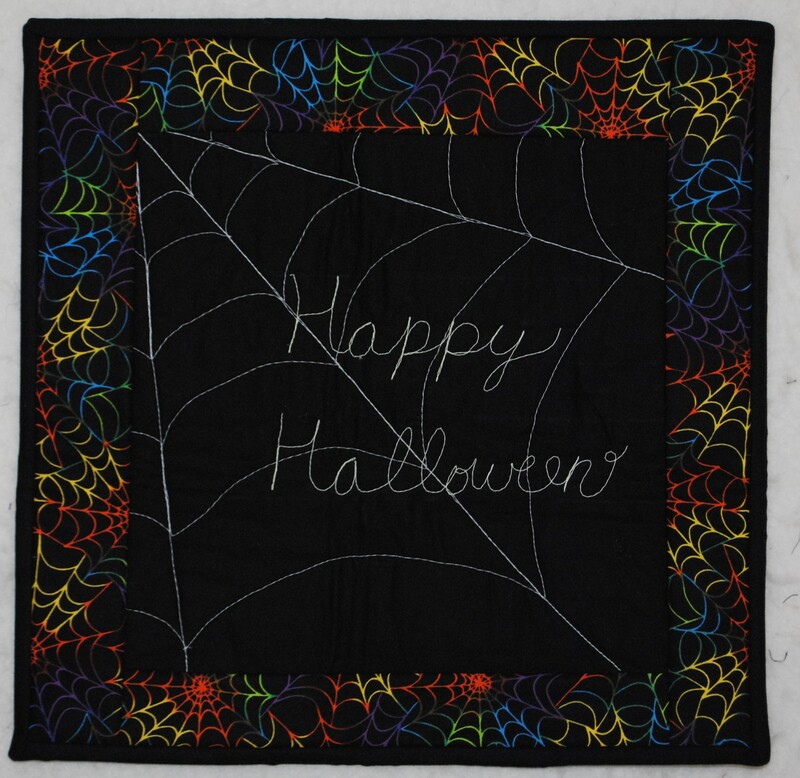 This one started out as one of four Halloween placemats, but has been resurrected into one (finished) Halloween wall hanging. The stitching is all done with Superior Threads NiteLite glow-in-the-dark thread.